This round globe of green and blue is constantly at a pace of chaos, this world needs peace and kindness. Well we cant say that people don’t make any effort, they just don’t find a way to find their inner calmness. That kind of calmness is only available in religion, its the spiritual path to being calm. But nowadays religion has turned in to a chore rather than a way out of all this mess. People think of It being a job to them, so most of the people run away from it. The only way to motivate yourself to learn and read is to memorise the important aspects of your religion. 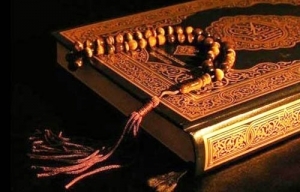 Islam is quite a simple and easy religion, where you can memorise the holy book of Quran by heart. This way you will be able to grasp all the things you need to know in order to live a healthy and meaningful life. But for memorising this holy book of Allah, you will need proper guidance and tutoring. So that along with memorising you are also able to take in all the knowledge and message the Book wants to convey to you. This process needs time and hard work, you will have to take out a good amount of time to go to learning classes. Sounds a lot of work? Well what if we tell you that you can learn and memorise Quran online UK. There are a lot of people who boast about their tutoring abilities but we don’t have to do that because we are not here for worldly possessions. We are here to make a strong positive impact on people’s mind, so that they can gain benefit from what they have. 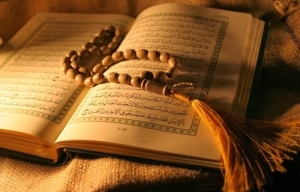 We offer the best online quran classes. That includes memorisation and learning the teachings of Quran too. You must be wondering that how does this Quran memorisation online process works. Well we will guide you all about it, so that you can be clear about it. We believe that everything needs its bases to have a strong build, that’s why we take things slow and steady. 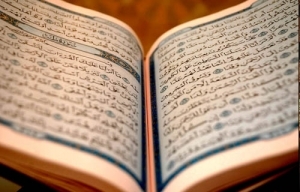 There are 2 steps to the Quran memorise process, first is when you learn the basic surahs and second when you will start learning longer surahs. We have made this memorisation session quite easy for our students. Even the sessions are divided in three easy parts for your feasibility. The first part is when you will start a new lesson, by repeating the specific Surah after your teacher several times so that you are able to memorise it. 2nd part is the previous lessons that were taught to you but they are from the same Juz, you will recite the memorised surah and your teacher will listen to you. 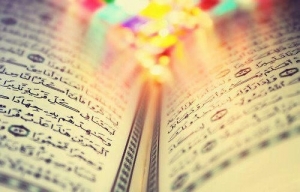 The 3rd and last part is when you recite any Surah that you have memorised with your teacher in the earlier sessions, this way you will be recalling the past lessons so that they stay fresh. Still confused? Well, no problem. We have a perfect solution to this, you can opt for our free trial classes for one week. We won’t need your credit card details or anything related your money. We want you to experience how you feel studying the Holy book with our experienced and humble teachers. If after a week you feel like you are wanting to continue, so you can join our sessions on a monthly bases. This way each and every one of you can have a beautiful and spiritual experience of calmness and you will be able to feel like you are in a state of eternal peace. These offers are valid for the people in UK, what if you are away from home and you cant find a tutor to teach you or your kids Quran, or what if you are not Arab but still you want to learn about Quran, we are the solution to your Quran teaching problems. So memorise Quran online UK, with the best and most reliable online Quran teaching institute. We are pretty sure that we wont let you down, and you are going to have a great experience with us. In this level, you will memorize selected Surahs, for example, Surah Yaasin, Al-Mulk, Ar-Rahmaan, Al-Waqi’ah, Juz amma (30th). In this level, you can memorize complete holy Quran with tajweed in sha Allah and you’re going to have the ability to recite holy Quran like an expert Qari of Quran.